Like most four-year-olds LP is extremely proud of the things he can do all by himself. 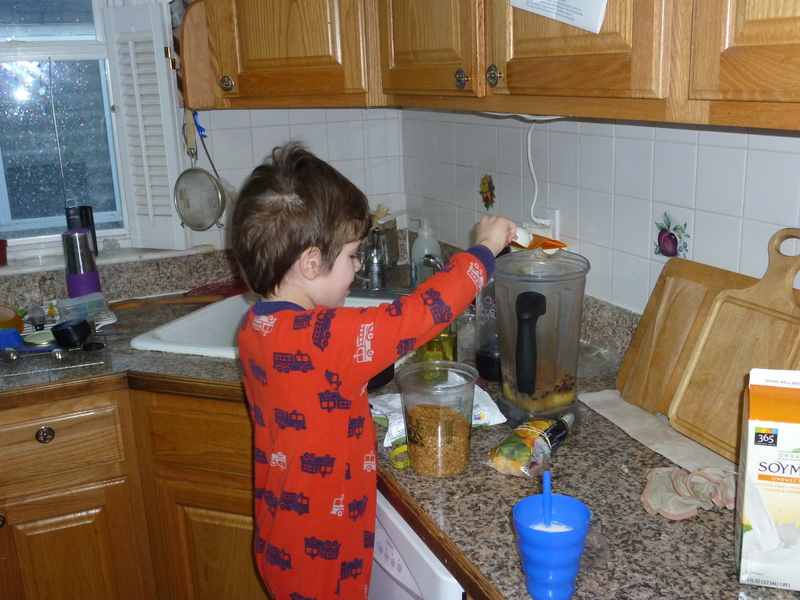 On Saturday, for the first time, he made our morning smoothie on his own. All I did was get the milk and juice out and pour them into cups so that he could easily pour them in the blender. He did a great job measuring out the fruit, flaxseeds, and liquids, and he was especially proud to drink his smoothie that morning. Later on he helped me by folding blueberries into pancake batter, chopping tofu for tofu scramble, and pulling frozen basil cubes out of the freezer. 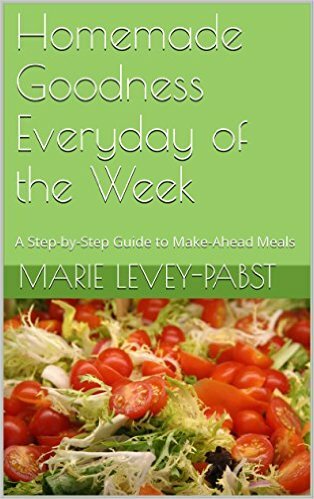 Even though most of my posts in this series have been about improving speed and efficiency for weeknight meals, today I want discuss how to slow down and let your kids help out in the kitchen. It takes time, but pays off! 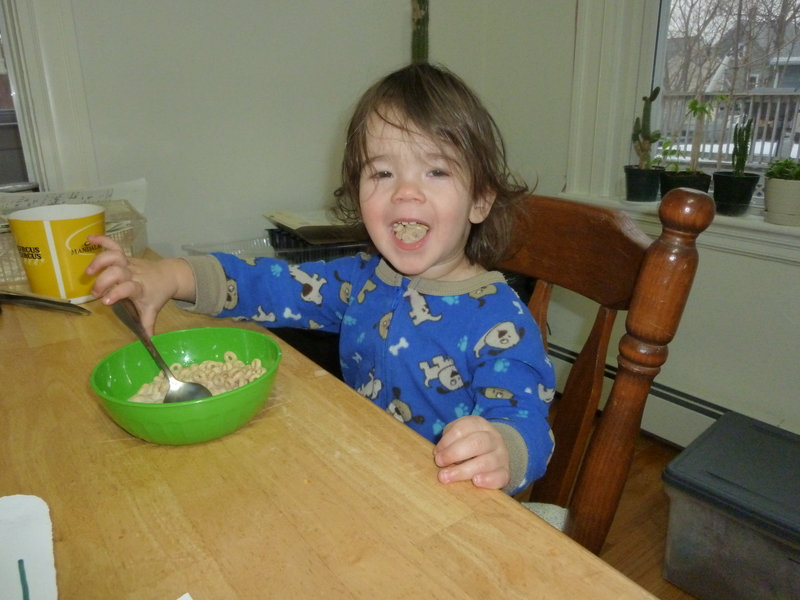 IP also likes to EAT CHEERIOS! !